View basket “Kreitler Goldsprints Racing Station” has been added to your basket. 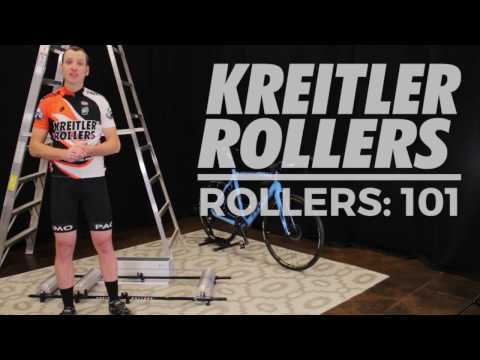 Kreitler Rollers, designed for perfection, built to last. Drum Diameter Choose an option2.25"3.0"4.5"
Kreitler Rollers are the “Rolls-Royce” of roller systems. Masterfully machined, perfectly balanced and designed for decades of use. The Alloy drums are machined from aircraft-grade 6061 alloy and spin effortlessly on high-grade ABEC-5 sealed cartridge bearings. Choose between alloy or polycarbonate end caps. The alloy end caps are heavier than the polycarbonate end caps of the Challenger series. Alloy end caps create more momentum and an increased coasting effect. The difference in weight is more noticeable on the larger drums. The polycarbonate end caps of the Challenger series are high quality and built to last, the Alloy end caps do maintain momentum better and are even longer lasting. Kreitler Rollers are hand crafted using the highest quality materials and carry a Lifetime Warranty. First thing you’ll notice with Kreitler Rollers is that they are well engineered, well finish, just a nice bit of kit. When my son suggested getting these rollers I confess I was sceptical because you’d think rollers are rollers are rollers. But in fairness, having used them he describes it as the closest thing to riding a bike on the road/track as you can get without leaving the house. In combination with a power meter, and a flywheel, its a better option than something like a WattBike. We’ve got a WattBike, and he definitely thinks the Krietler option with a power meter on the bike is better for most of his training, although there is a place for both. Only downside is that’s its not the easiest to carry – I haven’t quite found the right balance point on my shoulder yet, but I’m sure I’ll crack that one soon.